Endeavour Energy has sold the former Endeavour Energy Minto Field Support Centre in Minto to the Anglican Retirement Village for $16.6 million. Robert Lowe and Ray Trimboli of Savills, who were acting on behalf of Endeavour Energy, sold the site via an expressions of interest campaign. Mr Lowe said that they had received a large number of enquiries (over 90) due to the site being in a highly sought after location and the potential for development. This resulted in over 10 offers being received. “Minto is being transformed into a popular housing destination which was recently demonstrated in the huge success of the One Minto Housing Estate which consisted of both public and private housing, furthermore with the rapid growth in the area the Anglican Retirement Village recognized that there was a need to establish a retirement village in the area which would not only benefit Minto, but the City of Campbelltown," said Mr Lowe. Located on the corner of Sark Grove and Pembroke Road the site area measured 5.88 hectares and was sold subject to a site compatibility certificate. The site was suitable for approximately 100 residential lots with a size range expected to be from 300 square metres to 476 squares metres (approximately) subject to Council approval. 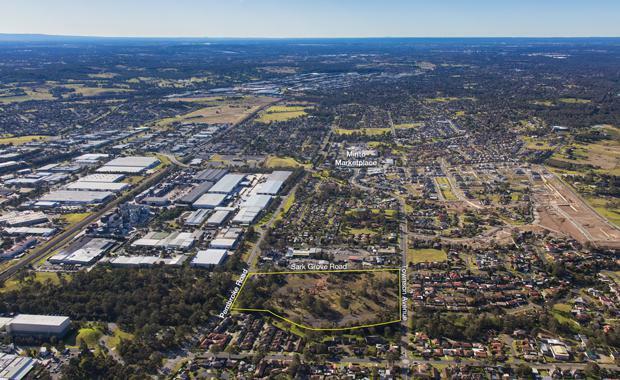 Minto is approximately 39 kilometres south west of the Sydney CBD and approximately 4.15 kilometres north of the Campbelltown CBD. The site is located on the eastern site of Pembroke Road, and has additional street frontages to Sark Grove to the north, Pembroke Road to the west and Townson Avenue to the east. It is conveniently located and its central location allows for easy access to the Hume Motorway which provides direct access to Liverpool, the Sydney CBD and other parts of Sydney. Other local amenities including schools, parks, sporting fields, hospital and shopping centres are nearby.